Xiaomi Smartphones Get MIUI 10.2.1 Update: What's New? Xiaomi is working towards improving the company’s own MIUI skin in order to offer an enhanced user experience. Most Xiaomi phone users must be aware that the MIUI offers the option to completely remove the traditional Android navigation bar which is found at the bottom of the phone to go back and forth and switch between apps and the home screen. In fact, the most interesting feature of all is the full-screen gestures that MIUI offered to some of the users with the MIUI 10 version, but one problem that most Xiaomi phone users faced after enabling these gestures was that there was no shortcut to quickly access Google Assistant. Looks like Xiaomi is now addressing this issue. The company is reportedly rolling out a fix to this problem of not being able to access Google Assistant via shortcut option. The new MIUI 10.2.1 update brings the Google Assistant gesture shortcut option to the supported Xiaomi phones. The coming of the software update has been first reported by XDA Developers website. The report suggests that Xiaomi has assigned a dedicated gesture on phones running on MIUI 10.2.0 version to make it easy for the users to invoke Google Assistant. 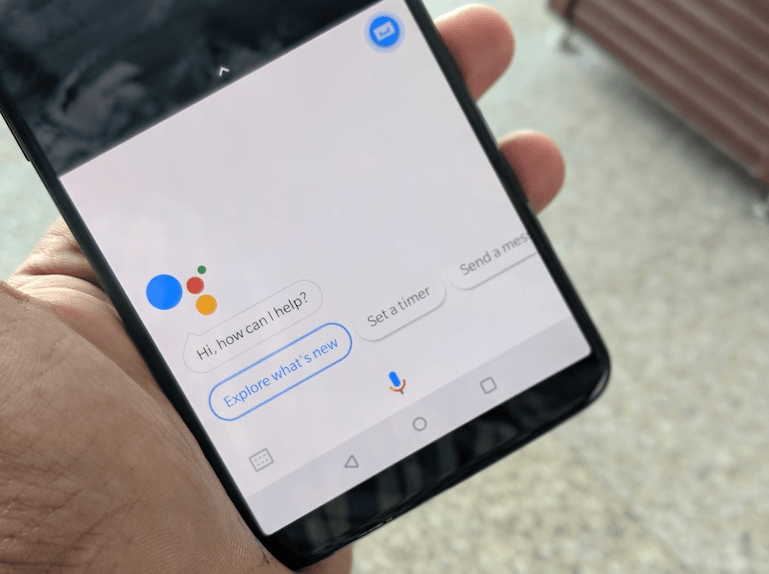 How Does Google Assistant Gesture Shortcut Work? To invoke Google Assistant, first, the Xiaomi phone user needs to check whether their phone can support the MIUI 10 version. If yes, the user will need to get updated to the latest version of MIUI 10.2.1. After upgrading to the new software to invoke Google Assistant, the user will need to press and hold the power button for around 0.5 seconds. It is important to note that the users will need to manually enable this feature by heading to the settings menu. There’s no way the feature will be enabled automatically. After going to the settings menu, all that the user will need to do is navigate to the “Button and gesture shortcuts” option and select the appropriate option from the list. Xiaomi India is set to launch Redmi Note 7 and Mi Sneakers 2 in the country in the coming weeks. The company has been teasing the launch of both the products for quite some time now. Rumours suggest that Xiaomi could launch the Redmi Note 7 in India on February 12. The chances are high that Xiaomi India will launch the Mi Sneakers at the same event when the company announces the 48MP camera phone aka Redmi Note 7. This is for the first time that Xiaomi will launch its smart shoe in India. Indeed. This is a worldwide problem across I believe ALL Xiaomi models with the 10.2 upgrade. Meanwhile, Xiaomi are dragging their feet. Xiaomi: great hardware, but lousy software and a total disrespect for customers. I solemnly pledge to never buy a Xiaomi again.